• Anyone who is an LLC member is an owner. Owners can have any percentage of the company. • All states recognize single-member LLCs, as well as multiple member LLCs. 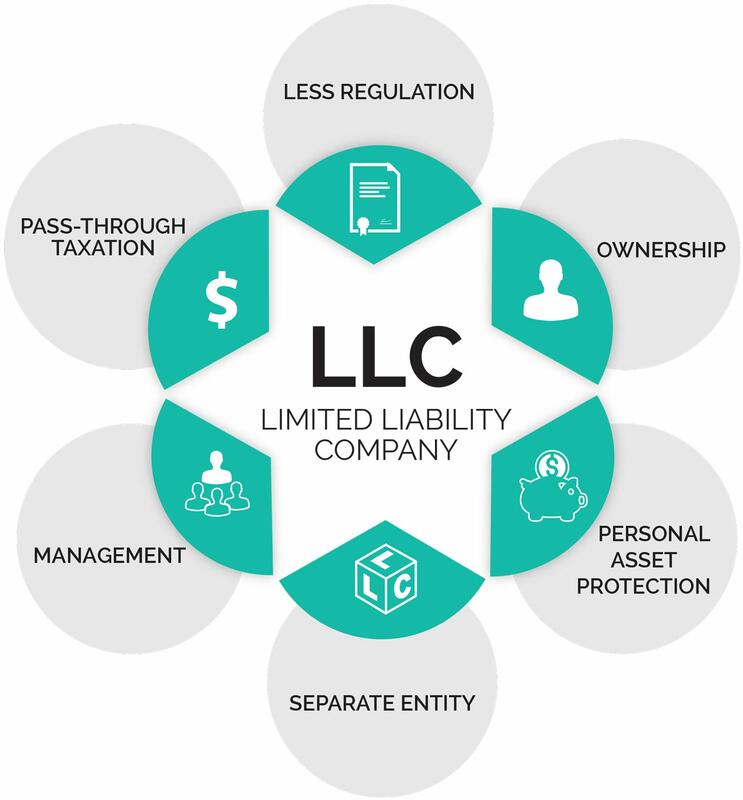 • There is no cap on how many members an LLC can have. Owners of an LLC are called members. You can have one member, which is a single-member LLC, or multiple members, which is a multiple-member LLC. LLCs must have at least one person who manages the company, similar to what a board of directors does in a corporation. You can opt to have it be managed by its members, or you can hire an outside person or team to manage it instead. Essentially, with member-managed LLCs, all members participate in the day-to-day operations and management. With a manager-managed LLC, only designated member(s) or non-member(s) have the authority to run the business. Other members are considered passive investors and are not involved with day-to-day operations. When defining what management means in this context, details are often covered in the Operating Agreement. In general, it usually is the ability to enter into contracts on the LLC’s behalf and participate in business decisions that take place. • It doesn’t matter who is managing, but that person has a fiduciary, or legal, duty to always act in the LLC’s best interests. Most people who set up an LLC choose member-management, meaning that all the members share responsibility for the day-to-day running of the business. This approach is more common in part because most LLCs are small businesses with limited resources and they don’t need a separate management level to operate. Unlike corporations, LLCs have a streamlined organizational structure, without officers or boards of directors. As a result, the LLC form is often chosen by people who want to be directly involved in managing and operating their business. If you and the other members of your LLC want to run your own business—actually make and sell products, take orders, provide services—then you will want a member-management structure for your LLC. For example, if your LLC is a bakery and all your LLC members want to play an active role in the business — crafting recipes, baking goods, hiring employees, opening and closing the shop — then you will want to operate the LLC as member-managers. In most states, LLCs are member-managed by default under state law. This means that if you don’t designate a management structure for your LLC either in your formation documents or operating agreement, then it will be considered a member-managed organization. In some situations, a manager-management structure may be preferable. The most common example is when some members only want to be passive investors in the business. These owners often feel more comfortable if the LLC delegates management responsibilities to one or more other members (or nonmembers). Two other situations where LLC owners may prefer a manager-management structure are: (1) when your business or ownership is too large, diverse, or complex to efficiently allow for sharing management among all members; or (2) when some of your members are not particularly skilled at management. (Sometimes, of course, these two situations go together.) Delegating management to a smaller group of people or just one person can be an effective way of balancing the varied skills and interests of multiple LLC members. It can also ensure more competent management of the business. While LLCs that appoint managers often rely on one or more of their own members to fill the role, you can hire a nonmember as manager. It’s important to note that LLC members are owners, not employees. But if an LLC member also performs management duties, that individual can receive compensation as an employee. His or her employment income is separate from the member’s status as an owner. This distinction should be spelled out in the LLC’s operating agreement or an employment agreement. If your LLC hires a professional manager, that person is an employee. In either case, the person doing the management tasks should be paid a reasonable salary and payroll taxes must be withheld. If you choose member-management, you may not be required to formally document this choice anywhere (although many states ask you to state whether your LLC will be member-managed or manager-managed in the articles of organization that you file to form your LLC). Nevertheless, all LLCs should have a written operating agreement that defines the basic rights and responsibilities of the members (and managers, if you have them). In a member-managed LLC, this would include things like member voting rights, additional capital contributions, buy-out provisions, and other important management and operational issues for the owners. Without an operating agreement, you run the risk of finding yourselves in a full-blown crisis when something unexpected arises because basic issues weren’t clearly addressed and agreed to early on. If you choose manager-management for your LLC, there very likely will be a legal requirement that you clearly spell out this choice somewhere in your LLC’s organizational documents. Typically this is either in the articles of organization that you file with the state or your operating agreement. In addition to the items mentioned above for members that you want to include in an operating agreement, you also will want your agreement to address what authority and responsibilities the manager, or managers, will have. For example, will the managers have sole authority for all hiring decisions? What about equipment purchases? Just like with the member provisions, documenting the extent of the manager’s—or managers’— authority can help avoid problems down the road. If you fail to create your own operating agreement, then your state’s LLC rules will apply. These are not necessarily the rules that you want for your business so make sure you have your own written agreement for your LLC.